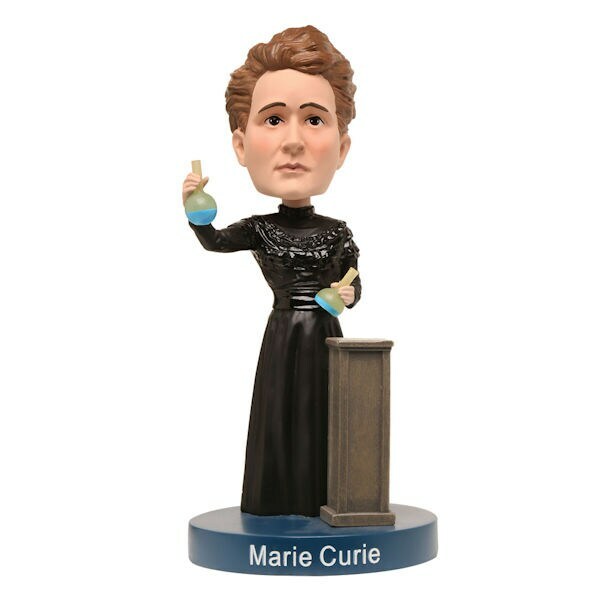 Marie Curie, physicist, chemist, and the first woman to win the Nobel Prize, is expertly crafted in heavyweight resin, nicely detailed, and complete with glow-in-the-dark beakers. With a light tap, her head bobbles and wobbles. 8" high.